﻿ Lake Hope State Park Campground - Ohio. Find It Here. Located in southeastern Ohio, the 2,983-acre Lake Hope State Park is a natural paradise. The entire park lies within the 28,614-acre Zaleski State Forest in the valley of Big Sandy Run. It is a rugged, heavily forested region traversed by steep gorges and narrow ridges with remnants of abandoned mining and iron producing industries. 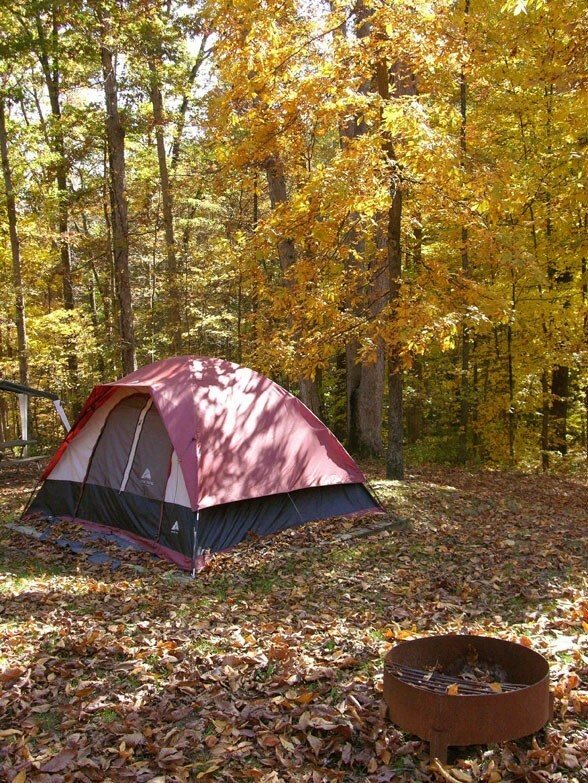 There are electric and non-electric campsites and three small group sites as well as an equestrian camp. A Nature Center hosts seasonal programs and guided hikes. Heated showerhouses, flush toilets, waste disposal, laundry facilities, picnic tables and fire rings. Pets are permitted. A pioneer cemetery and the historic Hope Furnace (an iron furnace) are on the property. There are many hiking and mountain biking trails. The Lake Hope Lodge is on the park grounds -- a full-service restaurant offering made-from-scratch food using Ohio products, featuring real-pit barbecue. Boating on the lake is limited to hand-powered and electric motor only boats. Rentals are available. There is a swimming beach with a sun deck, patio, restrooms and concessions in season. Laurel Lodge provides group lodging for 24 guests and can be reserved year round. Heated showers, flush toilets, laundry, waste disposal. Biking, hiking, boating. Pet friendly.